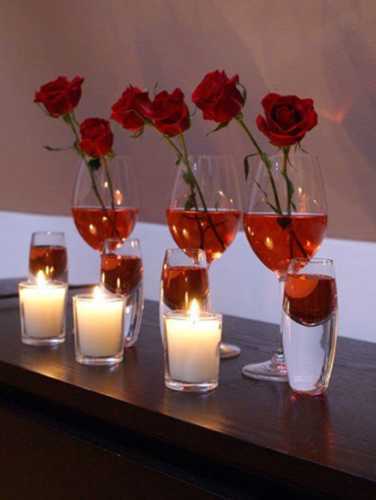 Centerpieces are, undoubtedly, one of the most important details when you are planning a romantic lunch or dinner, they could make the difference between a well presented table and an unforgettable one. 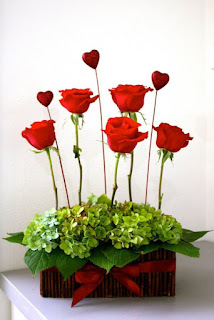 For that reason, if you are planning a surprise like that, dinner or lunch or even a breakfast for Valentine's Day, do not forget to choose the right centerpiece. 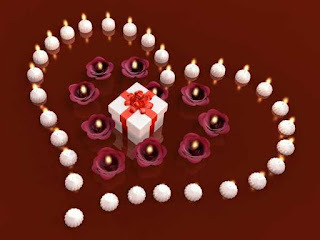 Here we present an interesting selection of ideas and models of centerpieces, all of them are ideal to surprise your special person on this romantic date and show all your love. 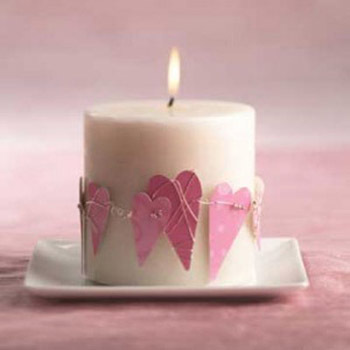 Centerpiece for Valentine's Day with a candle surrounded by pink hearts. 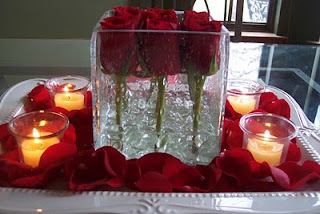 Centerpiece for Valentine's Day with glasses with red water and roses of the same color inside, all complemented with red glasses and petals inside, and finally white candles in front. 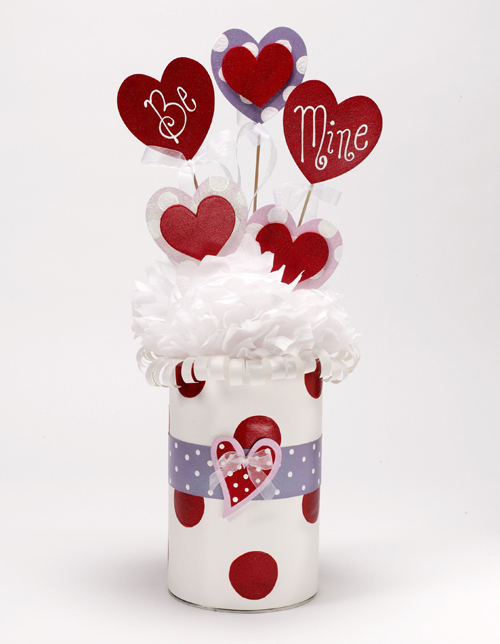 Centerpiece for Valentine's Day with a series of hearts with the phrase "Be Mine", inside a cylindrical tank. Centerpiece for Valentine's Day with romantic yellow and red roses inside a glass tank. 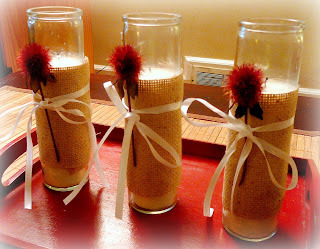 Rustic centerpiece for Valentine's Day with fabric, ribbons, and candles inside. 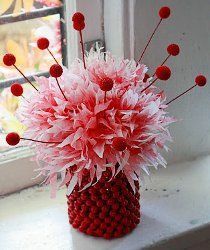 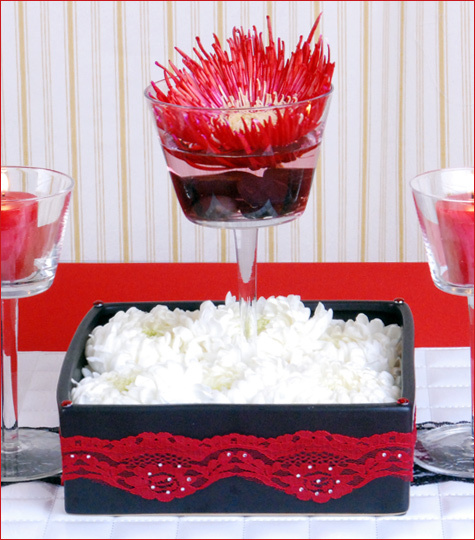 Centerpiece for Valentine's Day with red berries and pink papers. 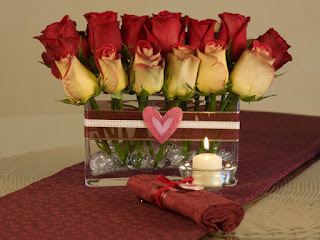 Centerpiece for Valentine's Day with a crystal vase, white gems in the base and vertical red roses inside. Centerpiece for Valentine's Day with a black bowl, white material inside and in the middle, a large glass with a red flower on top. 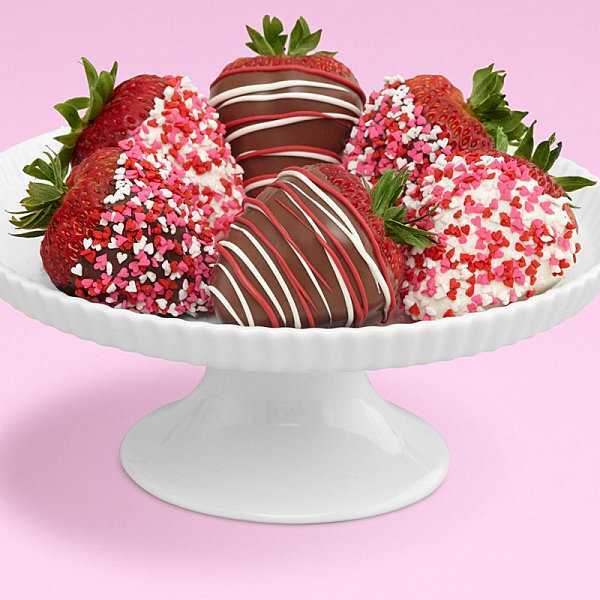 Centerpiece for Valentine's Day with delicious strawberries dipped in chocolate. Centerpiece for Valentine's Day with a dark base and a group of vertical red roses interspersed with small hearts.